Effective and versatile lighting is crucial in the work space. Whether you're working in the shop, your garage, or on the road, here are some suggestions for high-quality, flexible task lighting. Even if you pride yourself on your well-equipped workshop with every state-of-the-art tool you need for construction projects or car repairs, there’s one piece of equipment that’s easy to overlook: the work light. 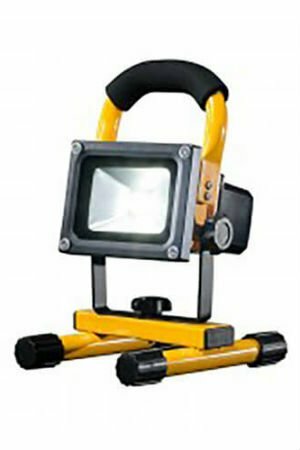 Because a dedicated work light doesn’t perform a specific task like cutting through pipes or drilling holes, it’s not given much thought. In the end, you probably just make do with whatever overhead and natural light is available. But whether your shop is a large commercial building with many workers or just a dedicated spot in your garage, you’ll work more efficiently if you can see clearly. 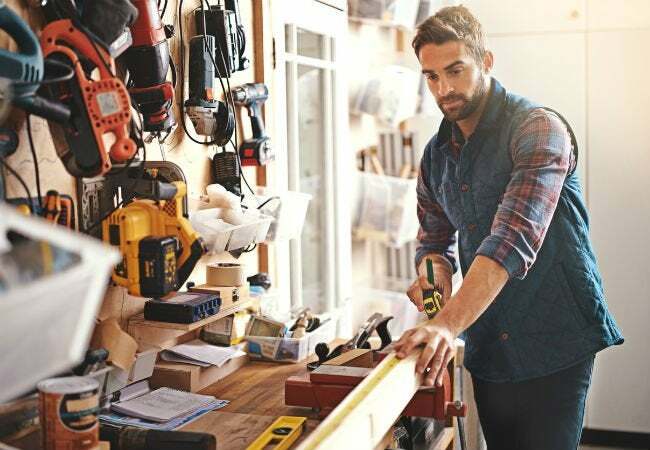 While every workshop needs good overhead lighting, it’s also important to invest in high-quality supplemental lighting that can direct light from various angles for precision work, a necessity for mechanics and woodworkers. Keep reading for lighting solutions that the pros trust to make jobs go more smoothly and efficiently. If you’ve ever had to work on your car—drain the oil, change the filter, or perform advanced engine repairs—you know how difficult it can be to see in and around all the filters, pumps, and valves. 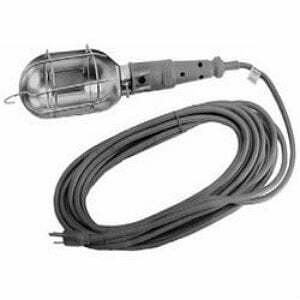 No mechanic’s garage should be without a good supply of high-quality trouble lights, caged bulbs that can hang suspended over the work area. The PASCO 50-Foot Trouble Light (available from SupplyHouse), for instance, is perfect for brightening those out-of-the-way and awkward spots that overhead lighting can’t reach. It comes with a 50-foot cord, a bulb guard that reflects and concentrates the light right where you need it, and a handy hook that lets you hang the light anywhere you need illumination. 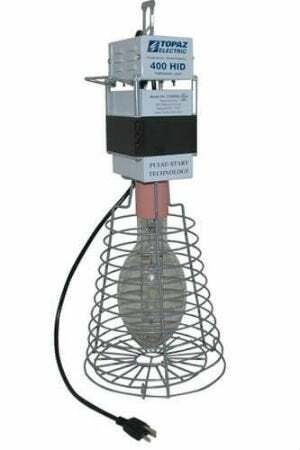 While it’s a must-have for mechanics, the trouble light is also a great idea for builders and remodelers who need extra light in attics and crawl spaces. Being able to direct light in a variety of directions will allow you to work with greater accuracy, so look for an instrument that specializes in shining in multiple directions. The octagonal shape of the Milwaukee M18 LED Flood Light, for example, allows it to roll and tilt at precisely the right angle for your needs. 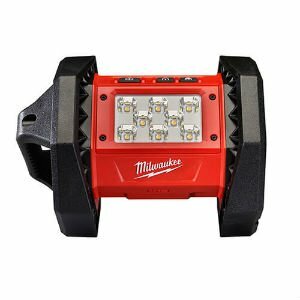 Known for its power tools and work gear, Milwaukee also manufactures some of the most advanced work light options around (including the LED Flood Light and the multidirectional Milwaukee M18 Rocket LED Tower Light, both available from SupplyHouse) with batteries that interchange with other battery-operated tools from the M18 rechargeable line. These powerful LED lights are just the thing for providing directional illumination in the workshop. Don’t forget about those small—but essential—portable lights that help you find what you need in a jiffy. The Milwaukee Rover Pocket Flood Light (available from SupplyHouse) makes it a snap to find the wrench or socket you’re looking for in a crowded, dark toolbox, thanks to the strong magnetic clip that lets it adhere to the underside of a toolbox lid or any other metal surface. Given that bulbs generate heat and can even become dangerously hot, working long hours under strong lights can be a toasty affair. “If you are going to be using a work light for an extended period of time, you’ll need to watch the heat,” O’Brian advises. And, if you typically use work lights for hours on end, opt for vented lights. “A unit with a vented housing will help you not burn yourself,” he explains. The Topaz HID High Bay Work Light (available from SupplyHouse) features a vented ballast housing to reduce overheating and a safety cage to prevent burns. It’s easy to see why the protection is necessary: This light takes a 400-watt type-O lamp—that’s more than six times the wattage of the average indoor bulb!—that is included with purchase. High winds, an ice storm, or even a tree branch falling on a power line can cause a power outage that disrupts your work and leaves you in the dark. “When the power’s out, you need light more than ever,” O’Brian says. So choose something you can rely on for those immediate repairs. Battery-powered backup lighting, such as the FLOOD-IT PRO Portable Light with Magpack Magnetic Feet (available from SupplyHouse), is a vital tool in or out of the workshop. The FLOOD-IT PRO comes with high-quality lithium-ion batteries that last up to four hours on a single charge. And, for those nights when you’re on the road, it can also be powered through its included car charger, making it a perfect choice for tow-service drivers. When you don’t have access to electricity, the FLOOD-IT PRO is the way to go.